- Roofers got the metal panel count wrong, and we don't have enough to finish. More material has been ordered, but for now we wait. Some more. Approaching two months and counting that the roof install is late. - The type of skylights (deck-mounted) we settled on were as recommended by the roofer. Once on site, the roofers decided they would not work well with the metal roof. The skylights were returned, and curb-mounted skylights were brought in. 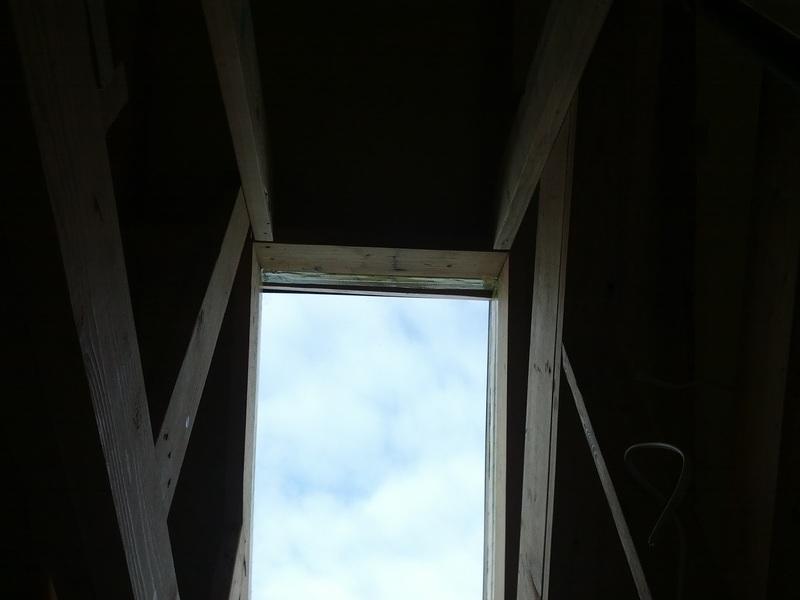 As they began to install one of the skylights, I noticed that the size was wrong. In whose world would that ever be OK? A custom size is now on order to fit the hole. - As luck would have it, two out of three roof penetrations happened to fall on a roof panel rib. Guess who gets to modify more plumbing and cut more holes in the roof?